If you know the repair you need and dont see it listed here or you want to contact us about specifics, you can use our Repair Estimate Page to recieve a free quote. The replacement service that we provide for the Acer V5 571P 6648 includes the cost of a brand new LCD screen and the labor to install it. This service also comes with a No Dead Pixel Guarantee and a 6-month warranty on parts and service. We use genuine new LCDs, not aftermarket or cloned products. This laptops LCD assembly is a glass and LCD combination. Due to the style of this laptops screen, we are unable to repair it to like new condition by just replacing the LCD screen as a replacement glass panel that covers the LCD is not available. However, we can replace the entire screen assembly. Please request a Custom Quote this repair. 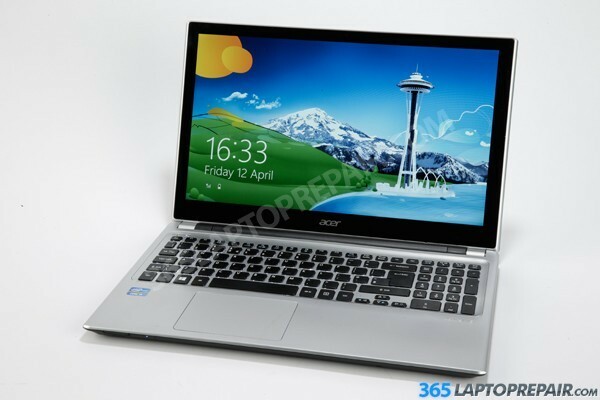 The Asus Acer V5 571P 6648 comes standard with 4GB of integrated memory. It does not have any memory slots so it can not be upgraded. Replacement Dual Layer SuperDrives are suitable for installing iApps, watching DVD movies, ripping music, and more. The DC jack for this laptop is separate from the motherboard and connects to the motherboard via a connector.